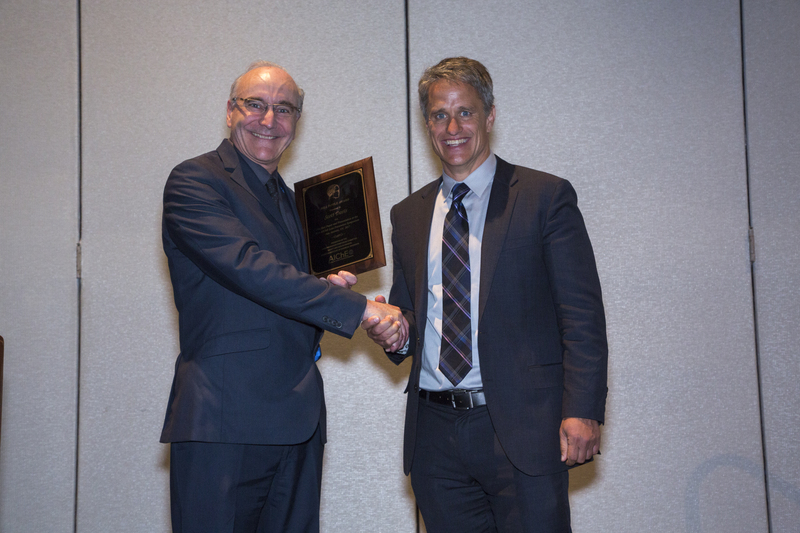 Dr. Scott Davis, President of Gexcon US, received the William H. Doyle Award at the Loss Prevention Symposium during the Global Congress on Process Safety. The award recognizes the best paper presented at the previous year's Loss Prevention Symposium. The recipient is selected by a vote of the members of the Loss Prevention Symposium Committee. Dr. Davis’ paper titled “Large Scale Testing Confirms Deflagration to Detonation Transition (DDT) Needs to be Considered in Facility Siting,” presented results that indicated DDTs are more likely to occur than originally anticipated at the large scale, and that current tools developed using smaller scale experiments require modifications. This is the second time Dr. Davis received this recognition, having earned the previous distinction in 2009.